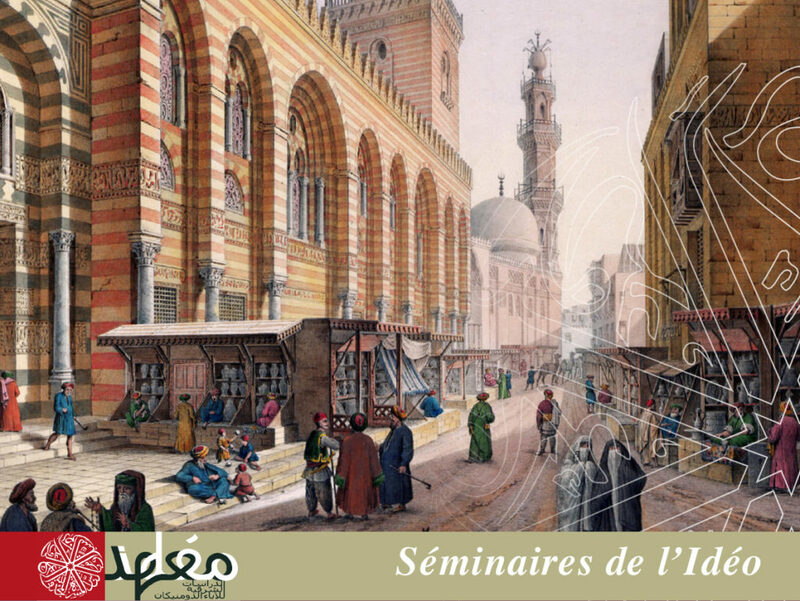 A public seminar, devoted to the Arab-Muslim culture. 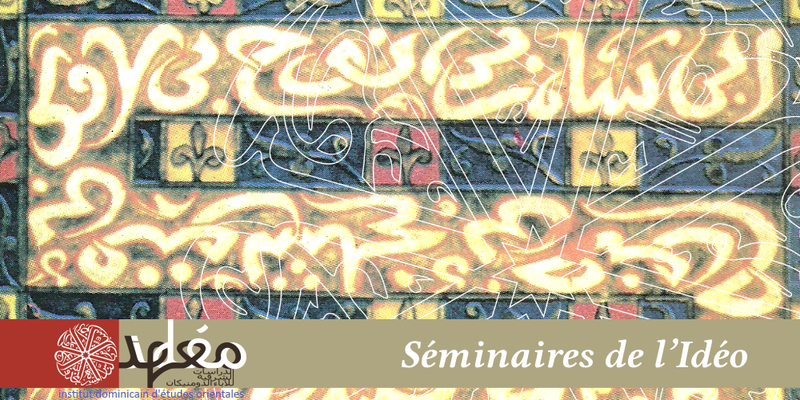 About two sessions monthly, either in Arabic, or French or English. Free of charge and open to all. Subscribe here to receive the invitations. Click here to read the reports of the previous sessions. 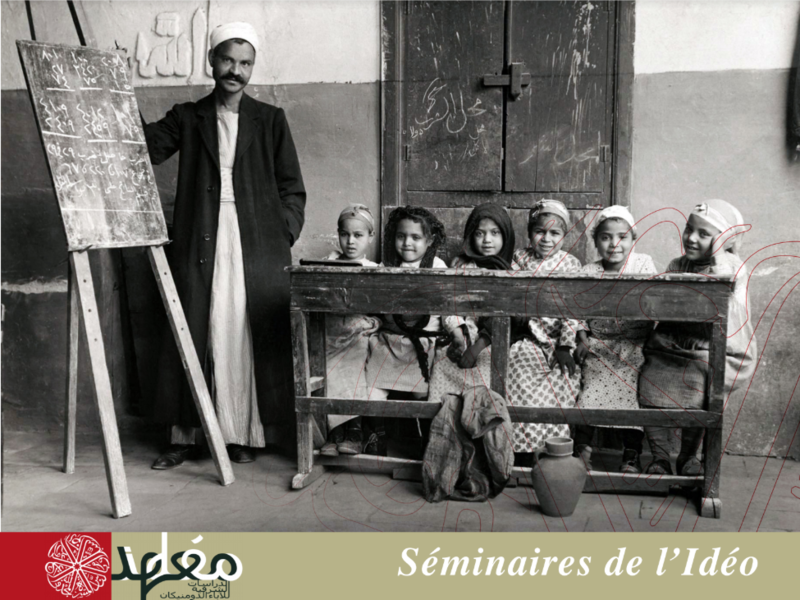 The Massignon Seminar, a research seminar for the members of the Institute. International conferences, in Cairo or elsewhere, whose proceedings are published in MIDEO. Click here to read the reports of these conferences. 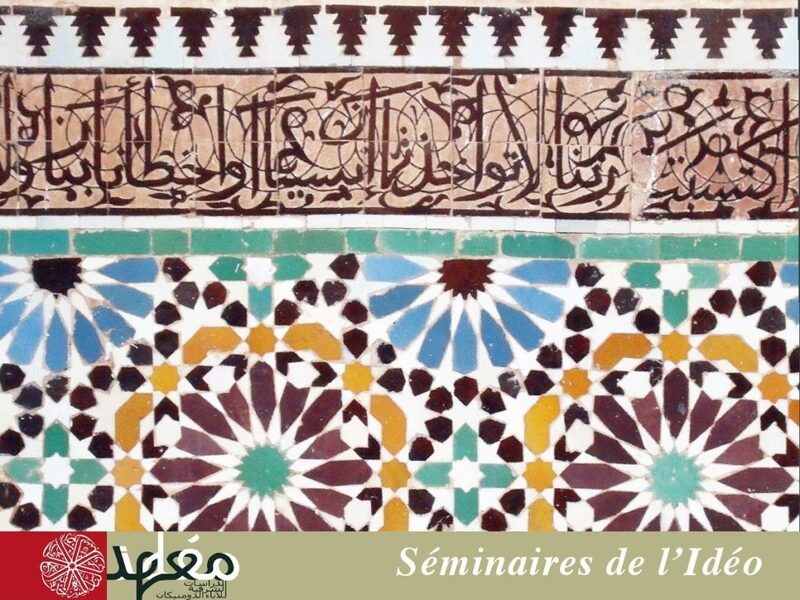 In 2018‒2019, a seminar in Arabic of introduction to the Arabic philosophy, six sessions organised by Aziz Hilal. Click here to see the details. 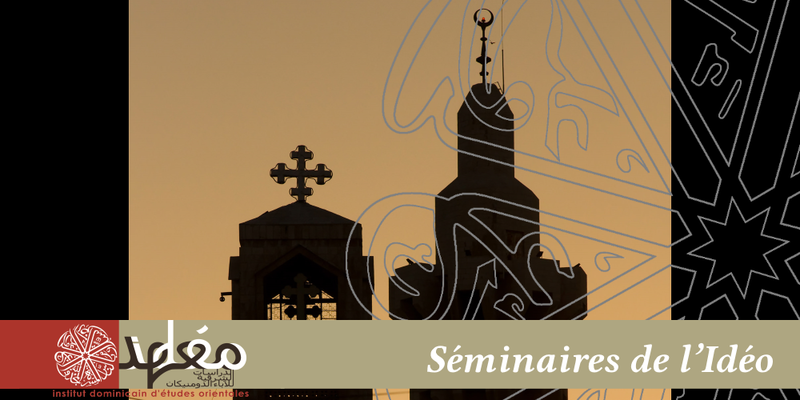 Since 2018, IDEO is also co-organizer of the monthly series of conferences “Midan Mounira”, alongside with the French Institute of Egypt, the CEDEJ, the IFAO and the IRD. Click here to see the reports of the sessions proposed by IDEO. Since 1999, the Muslim-majority states of northern Nigeria have decided to apply Sharia law not only to issues regarding personal status (which was already the case before that date), but also to criminal law, which some consider to be unconstitutional. Indeed, states do not have the constitutional competence to apply their own criminal law, in order to guarantee the equality of all citizens under the law, regardless of their place of residence in Nigeria. Not all Muslims in Nigeria, however, are supportive of these measures in the north. The Yoruba people living in the west of the country, for example, have always had a more conciliatory approach with the minorities living on their territories. On the other hand, in the north, the Hausa and Fulani peoples are much more intolerant of mixed marriages or support for minorities, and the few Christian villages in the region are neglected by the state (i.e. education, health…). There is a lot of violence in the region: conflicts between sedentary and nomadic groups, drugs, banditry, and sectarianism which is too easily attributed to the Boko Haram group who originated in the east of the country. This group, whose anti-Western rhetoric has seduced populations abandoned by the federal government, has been able to find support even within the army, which makes their eradication very complicated. Twenty years after the application of Sharia law to criminal law, daily life has normalized, however insecurity remains high, and ethnic and economic tensions remain. 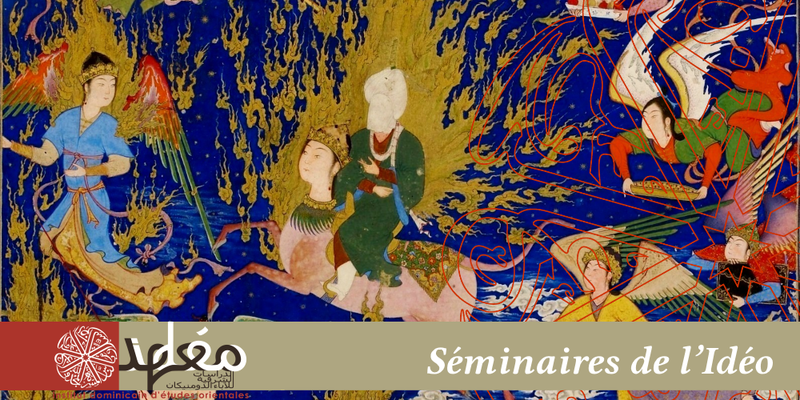 During this seminar session, Catarina Belo presented the views of al-Fārābī (d. 339/950) on prophecy and prophethood, in the frame of his philosophy of religion. Indeed, the metaphysical and political writings of al-Fārābī seek a harmony between philosophy and religion, as expressed in his vision of the philosopher-king and the prophet. There is often a difference between the meaning of words, according to the dictionary, and the intention of the speaker who uses these same words according to his knowledge, culture, religion, or context in which he lives. It is the pragmatic which can, for example, reflect the fact that one can perfectly understand the meaning of each word in a joke, but not understand what is beyond it. The same applies to certain idiomatic expressions. For example, one can perfectly understand what a “watermelon” is, what the verb “to put” means, and what “the stomach” is, yet not understand the expression “he has put a summer watermelon in his stomach” (ḥāṭiṭ fī baṭnihi baṭṭīḫa ṣayfī), which in Egypt means “he is quiet” or “he doesn’t care”. The first Arab grammarian who explicitly inquired about the difference between the obvious/surface meaning and the speaker’s intended meaning is ʿAbd al-Qāhir al-Ǧurǧānī (d. 470/1078). Unlike the grammarians before him, who organize their grammar treatises according to grammatical forms, al-Ǧurǧānī takes as his starting point the speaker’s desired meanings and studies the different ways of rendering them in grammatically correct language. It is true that interreligious dialogue has long been the initiative of Christians, however, more and more Muslim voices are now being heard, calling for specifically Qurʾānic and Prophetic foundations of the encounter with non-Muslims to be unearthed. Brother Adrien Candiard, a PhD student in Islamic studies and member of IDEO, led a round table discussion between three French-speaking Muslim scholars: Djamel Djazouli, a Qurʾān specialist and director of the An-Nour Institute in Cergy-Pontoise, Denis Gril, a Sufi specialist and professor emeritus at the University of Aix-Marseille, and Omero Marongiu-Perria, a sociologist of religions and researcher at the Institute for Religious Pluralism and atheism (IPRA). icon-video-camera Watch the video (mostly in French). If the Qurʾānic message is centered on the unicity of God, it is to better highlight the diversity that God wanted for humanity, a human diversity of communities and rites that can truly express the richness of the divine unicity. Beyond the dialogue that we can have among ourselves, and in a more fundamental way, God is in dialogue with the universe. This infinite divine depth cannot be said in simple and unambiguous words, which is why the verses of the Qurʾān often take the form of paradoxes, holding at the same time apparently contradictory expressions: the Qurʾān is the ultimate truth and, at the same time, only God knows who is well guided; or the only religion is Islam and, at the same time, the Prophet Muḥammad will intercede for all communities on the judgment day. We are therefore called upon to reconsider our conceptions of what truth is, not as a univocal content that we could assert to others, but as a reality that everyone must receive, and in front of which everyone must take positions and make choices, that will necessarily be different for everyone. Islam therefore calls everyone to move forward without fear on this path that ultimately leads to God, and to make their own choices, in dialogue with one another. 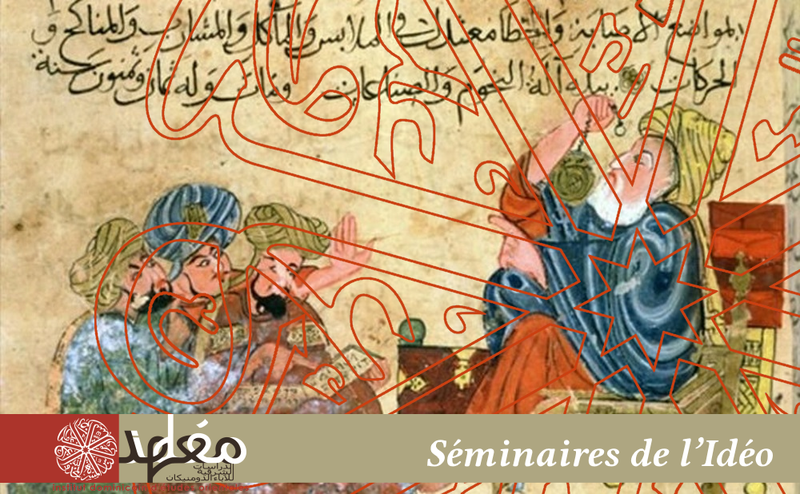 Mr. Oussama al-Saadouni Gamil is preparing his doctoral thesis at Dār al-ʿUlūm on inflation during the Mamluk era. 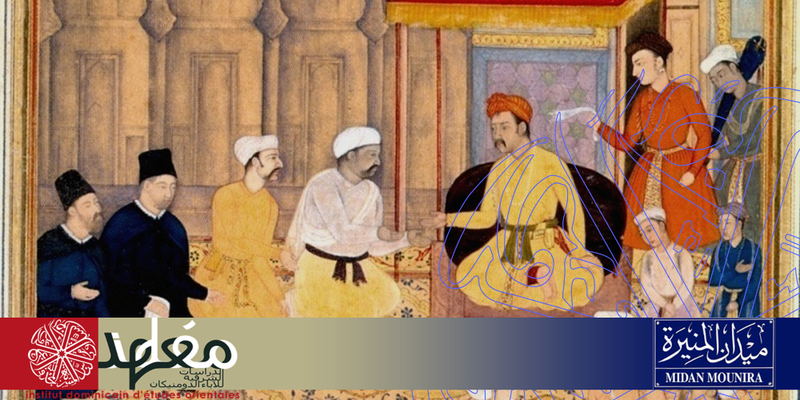 He chose to focus on a ten-year period, from 800/1397 to 810/1408, in order to study in as much detail as possible the factors at play, the role of the various figures, and the precise evolution of the prices of essential products. The year 806/1403-1404 marks the beginning of a period of strong price hikes, up to 500% for some products. A low Nile flood, epidemics, and some unfortunate political decisions help to explain the phenomenon. Relief will only come after the implementation of a policy of imposed price reduction by the Sultan al-Muʾayyid Abū al-Naṣr (d. 824/1421) after his coming to power in 815/1412. Frédéric Abécassis is the new Director of Studies at the French Institute for Oriental Archaeology (IFAO) in Cairo. This seminar was an opportunity for him to present the different stages of his research project. Since his first visit to Egypt, Frédéric Abécassis has worked on a diverse set of research topics: private religious schools in Egypt, car traffic in Egypt and Morocco, and Muslim and Jewish migration in the Maghreb. Yet, all deal with the question of community building as a defense against the effects of the market economy in a liberal society. Communities are built and disappear by a) economic solidarity (e.g. the richest paid the tuition of the poorest in religious schools), b) relationships of belonging and authority (e.g. the police were at the service of car owners rather than pedestrians), or c) conflicting historical narratives (e.g. Moroccan Jews gradually saw themselves as foreigners in Morocco). If the study of history has therapeutic value, then the historian must assist everyone record the history of the communities to which they belong and of those they have left. Muḥammad ʿĀbid al-Ǧābirī (d. 2010) supported the idea of an epistemological break between the philosophical thought of the Arab East and Arab West. According to him, thinking in the East devolved, especially with Avicenna (d. 428/1037), into Gnosticism and irrationalism. Whereas thinking in the West saw the culmination of the rationalist tradition in Islam, particularly with Ibn Bāǧǧa (d. 533/1139) and Averroes (d. 595/1198). This simplistic framework overlooks the influence that al-Fārābī (d. 339/950) had in Andalusia. It is clearly visible in the political philosophy of Ibn Bāǧǧa, particularly in his treatise Tadbīr al-mutawaḥḥid, in Averroes’ commentary on Plato’s Republic, or in the work Ḥayy b. Yaqzān by Ibn Ṭufayl (d. 581/1185). Although Ibn Ṭufayl declares himself as an Avicennian, and does not hesitate to criticize (unfairly) al-Fārābī, it can be said that there is a common purpose and structure between Ḥayy b. Yaqzān and the thought of al-Fārābī. Ibn Ṭufayl is so indebted to the political philosophy of the “Second Master” (aka al-Fārābī) that it is hard to understand why he treats him in such a passing way in his introduction to Ḥayy b. Yaqzān. What complicated al-Fārābī’s reception in Andalusia was that he still believed, like all in the East, that Aristotle wrote the treatise known as Aristotle’s Theology, when in fact it is a more or less faithful translation of part of Plotinus’ Enneads. Thus, he desperately attempts to reconcile this Neo-Platonic text with what he knows about Aristotle. It will be Averroes who definitively unmasks the confusion. For example, unlike al-Fārābī, Ibn Bāǧǧa and Averroes conceive the agent intellect as something immanent to man. According to the two authors, the agent intellect is no longer this transcendent and completely separate intellect, which fit perfectly with the Fārābian theory of emanation inherited from Neo-Platonism. 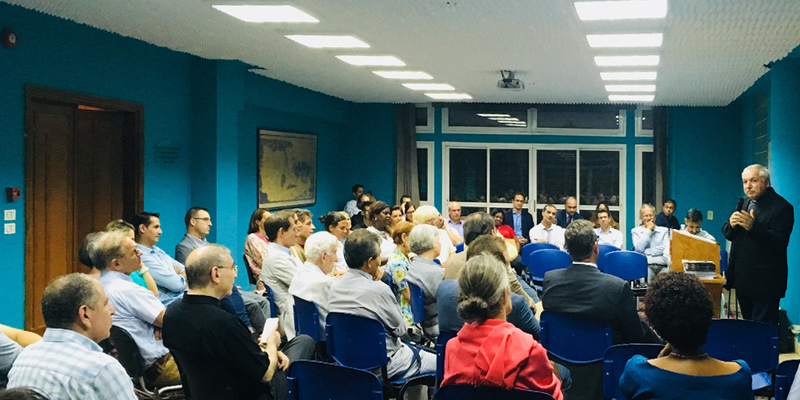 Interreligious dialogue covers two very different realities: it is both what public authorities would like religions to do for greater social peace, as well as the attitude of believers, in the name of their faith, towards believers of other religions. Reducing dialogue to the first risks anaesthetizing the critical and prophetic role religions have towards these same public authorities and, more fundamentally, exposes religions to the risk of abandoning this role and relying solely on public authorities to organize dialogue between them. The Christian attitudes towards believers of other religions have been profoundly shaped by their relationship with Judaism. Resisting any latent Marcionist temptation to “purify” Christianity from its Jewish roots, the Catholic Church recognizes that its own identity owes due reference to the otherness of Judaism. This is clearly stated in the Second Vatican Council’s Declaration Nostra ætate (1965). In addition, Paul VI, in his encyclical Ecclesiam suam (1964), proposed a renewed conception of revelation as a “dialogue of salvation” (colloquium salutis) between God and humanity. The declaration Nostra ætate therefore encourages Catholics to seek all that is true and holy in other religions, in a sincere and respectful dialogue with other believers. Bishop Aveline ended his lecture by presenting two major theological issues for those who have accepted to involve themselves in this demanding spiritual and intellectual adventure. The first is to strengthen, with the help Eastern Christian theology, our theology of the Holy Spirit, of which John Paul II said, in his encyclical Redemptoris missio (1990), acted not only in the hearts of individuals but also in societies, cultures, and religions. The second issue is that of understanding the Church’s mission as collaboration in the work of the Holy Spirit, who pursues this “dialogue of salvation,” which is revelation. The Church must therefore understand itself not as an NGO or a company working toward its own growth, but rather as being at the service of the relationship between God and the world.